Variscite has launched the DART-MX8M-MINI System on Module (SoM) . 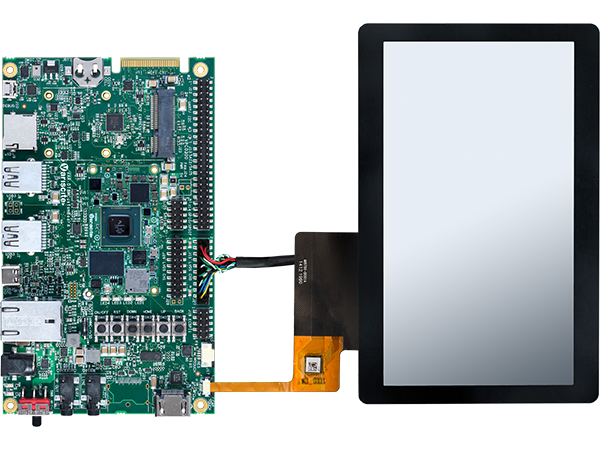 The DART-MX8M-MINI is a miniature SoM based on NXP’s i.MX 8M Mini processor with up to 2GHz Quad-core Cortex-A53 plus real-time 400MHz Cortex-M4 coprocessor. The SoM offers optimized power consumption, integrated HW engines supporting 1080p video encode and decode, 2D and 3D graphics, HQ audio and a wide range of connectivity options such as certified Wi-Fi/BT, Ethernet, and USB. The DART-MX8M-MINI joins the ‘DART Pin2Pin Family’ and provides a scalable pin-compatible option to our DART-MX8M with lower power consumption and higher CPU performance. The launch of the DART-MX8M-NANO based on the upcoming i.MX 8M Nano processor is expected to take place later this year. The DART-MX8M-NANO will provide further cost/performance scalability to the ‘DART Pin2Pin Family’. Glyn has evaluation kits available to order on our glynstore. Need more information? Want to know about our extensive reference designs and engineering services?